Written by Tyneside-based playwrights Ed Waugh and Trevor Wood, the new series was commissioned by BBC Cumbria managing director Nigel Dyson after he heard the pilot show on the duo's website. It's Grim Up North follows the exploits of dodgy Roman auxiliary soldiers building Hadrian's Wall in AD126. 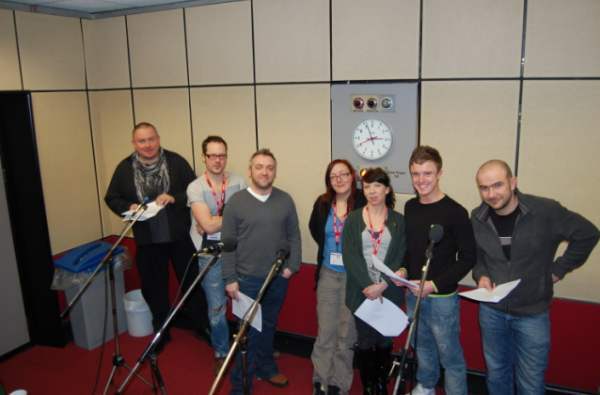 The cast comprises Dale Meeks, Dean Logan, Gary Kitching, Mat Hobbins, Karen Traynor, Chris Connel and Jackie Fielding, who play a variety of characters based around Drizzlewort, a milecastle on the wall: Britons from south of the wall, rebellious Picts and auxiliaries from sunnier parts of the vast Roman Empire; hence their dislike of the constant rain in the wilds of Northumberland's picturesque but cold and wet moors. Mr Dyson said: "It's terrific to have such writers as Ed Waugh and Trevor Wood producing new writing for us and it's fantastic for our audience to be able to enjoy this. I can't wait to hear it"
Trevor said: "We are grateful to Nigel and BBC Radio Cumbria for being so positive and pro-active. We loved working on the show and it's great fun. We are always keen to hear feedback via our website." 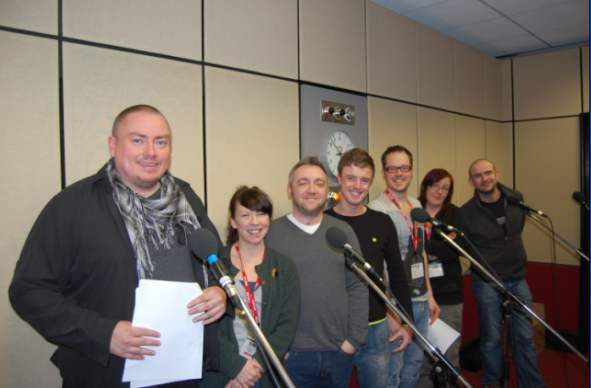 The five, six-minute episodes of It's Grim Up North can be heard live on BBC Radio Cumbria at 10.10am, starting on Monday, March 5, with the subsequent episodes transmitting at the same time throughout the week. Those outside the BBC Radio Cumbria remit can listen to the episodes at "Listen Live" or "Listen Again" on the BBC Radio Cumbria website bbc.co.uk/cumbria. It will be available on-line from March 5 until March 18.